Central Kentucky is well known for its Bluegrass region, the Western and Eastern Mountain coalfields, and the Eastern Pennyroyal regions. The name "Kentucky" itself means "meadow lands" in several different Native American languages. It was the Bluegrass region that this name (meadow lands) was originally given to and was only applied to the entire state much later. Some of the major cities in central Kentucky are Frankfort and Lexington. Central Kentucky is notable for its extensive horse farms and Lexington is world renowned as the "Horse Capital of the World". If you're looking for a house for sale Kentucky has a lot of good things to offer. Right now is a great time to buy real estate in central Kentucky. Prices are continuing to fall even though the number of houses sold has increased. Prices are still lower than they were in 2004 but with the increased sales these low prices won't last for long. Several of the state's central counties have actually showed a slight gain in 2012 whereas most of the outlying counties continue to show sharp losses. Overall, it's definitely a buyers market in central Kentucky right now. Get in while you still can and give the Clinkenbeard Extreme Team a call today to find out how we help you find the property that's just right for you! It's the amenities here in central Kentucky that make this area so attractive to visitors and such a value to homeowners. Everywhere you go you will see a plethora of choices for fine dining, premier golf courses, health clubs and their associated facilities, theaters, community centers, and lots of bike paths. The countryside is so beautiful that just about anywhere you look you'll see a pleasant if not picturesque view. Quiet neighborhoods with low crime rates all add to the desirability of being a homeowner in central Kentucky. When looking for peaceful living and quality homes Kentucky is definitely a place to consider. There are so many things to do in central Kentucky that its impossible to mention them all here. You have historic Shaker village which is less than 30 miles from Lexington. You can check out what frontier life was like at the old Fort Harrod State Park. Fort Harrod was the first permanent English settlement west of the Allegheny Mountains. A full-scale replica of the Fort was constructed to be the centerpiece of the park today. If you want a taste of old-fashioned Kentucky tradition, there's The Woodford Reserve Distillery. Take a guided tour of this national historic landmark to learn about the history of bourbon and the bourbon making process. Central Kentucky offers a very high quality of life. One that is well balanced between the low cost of living and the many excellent amenities found in this region. In central Kentucky the cost of living is nearly 10% lower than the national average. Although the numbers vary by county, when it comes to homes for sale Kentucky housing is just 77% below the national average. Many three-bedroom starter homes are available for less than $100,000! Several other wonderful benefits of living in central Kentucky are the low taxes and the nationally recognized public and private school systems of central Kentucky. What a wonderful place to raise children! When it comes to rental properties Kentucky has homes that will fit any budget. As for rental homes Radcliff is an ideal place that is very close to shopping, fine dining, and several great schools. If you're looking to invest in real estate Radcliff has some of the best deals in the state. Whether you are seeking a place to rent or you are looking for homes for sale Elizabethtown is another great choice as well. There are three active United States Army posts in Kentucky. Fort Knox, Bluegrass Army Depot, and Fort Campbell. Two of them (Fort Knox and the Bluegrass Army Depot), are located smack dab in central Kentucky. If you are a proud member serving in our armed forces and happen to be stationed at one of these facilities you will be happy to know that there are plenty of wonderful accommodations when it comes to military housing in central Kentucky. For more information on military housing give us a call or send us a message through the contact link on our web page. As you can see, when looking at real estate Kentucky, especially Central Kentucky, is a great place to live, work, and raise a family. There will probably never be a better time to buy real estate in this area. Soon, real estate prices will begin to rise again and these opportunities will be lost forever. 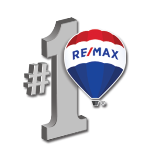 So, take the first step to owning a great home in central Kentucky and give us a call today!